Festivals in India today are as much about online celebrations as they are offline. People connect even more than ever on social media platforms, such as Facebook and Instagram, to exchange greetings. This presents businesses with an excellent opportunity to be present where the consumer is and to strengthen their relationship with them. The period marked from October to November is especially critical as that is when shopping frenzy is at its highest. At Ethinos, we did a study on the digital trends during these few months, and here are our findings. What did the online chatter reveal? 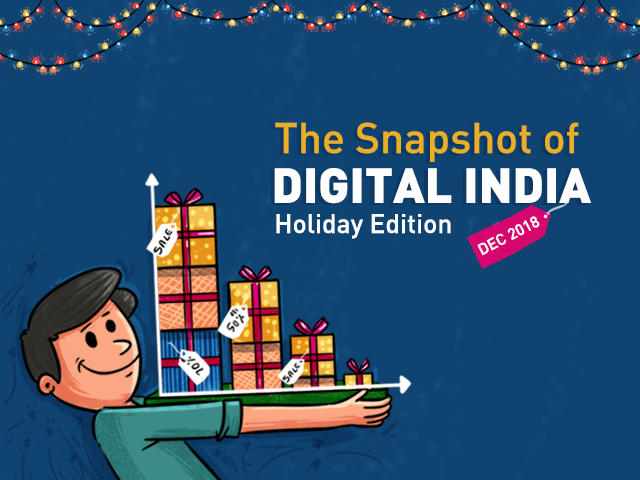 The Indian festive month saw the e-commerce sector growing more than the previous year, with extensive participation from the Tier-2 cities. Easy affordability of mobile devices, better data penetration in rural areas and newer demographics, including women and the older generation, have been instrumental in driving this growth. The festival month sale in 2018 touched a GMV of $4.3 billion, which is a 43% growth from last year’s sale during the same period. What were the growth drivers? Discounts and new launches pushed sales in the mobile category. Subscription models were also largely instrumental in accounting for >25% of the GMV. Additionally, with the introduction of debit cards, EMIs and promotional schemes by new wallets, more people purchased during the sale period. One of the categories to watch out for is fashion, with it seeing a larger number of deliveries, just short of mobiles and electronics which continued to contribute substantially to the GMV. What do social media platforms reveal? Today there are 387 million smartphone owners in India and this number is expected to touch 490 million by 2022. Despite its relatively low penetration as compared to other nations, India ranks second highest in internet users, creating a vast opportunity for brands to tap into. While the internet rural penetration at 20.26% still lags behind its urban counterpart of 64.84%, nearly 50% of the rural population uses social media. Additionally, an increasing usage of video, along with emerging trends, such as virtual reality, etc. will continue to drive traffic as well as enhance user experience. There has been an 11% rise in video content consumption from Q2 of 2017 to Q2 of 2018, and this will only attract even more traffic. It is predicted that by 2024, video will account for 74% of all internet consumption. There are more than 294 million Facebook users and 71 million Instagram users in India, offering a massive opportunity for brands to have a strong presence on these social media platforms. The numbers are equally astounding for WhatsApp – 1.5 billion users, sending more than 1 billion video messages per day. 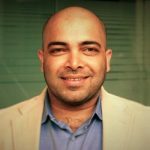 The growth in the e-commerce sector is largely because of players like Flipkart, Amazon and Paytm Mall, who have forayed into new sectors, including grocery. This rising internet penetration, increasing smartphone use, a young population and an expanding middle class have also contributed to the growing number of digital buyers in India. Offline and online will both contribute to a business’ revenue stream. The key to being successful is linking the two together to offer an immersive, complete shopping experience that taps into the consumers’ shopping behavior patterns.